As most of you know, I try to offer a variety of different feature themes for Freebie Friday. Not every feature will be as popular as some. This week’s feature has been on my list for a long time. As a kid, I was my mother’s human manikin. She made all of mine and my children’s Halloween costumes. There is something about being home made that made it so much better than a store bought costume for my family. My mother tried on numerous occasions to try to teach me to sew. I never had the patience for it. In fact the first thing I ever made was a square bean bag and she thought I was a seamstress for life. Unfortunately, when I tried to sew a shirt it was a total disaster. Now that I’m older, I wish I had paid more attention so that I could create beautiful things for my future grandchildren. The ones that I do not have yet. LOL! 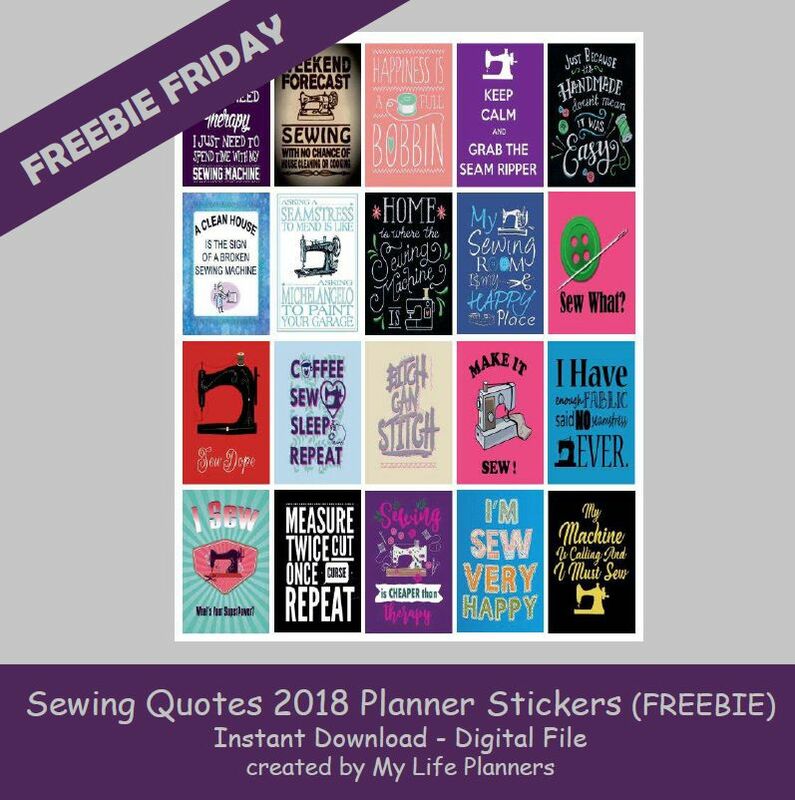 With that being said, this week’s Freebie Friday feature is for all the wonderful planners who have the talent of sewing. Time to get the stitches in your planners.